Cut and clean the mutton in medium pieces. Heat oil in a pan and add powdered fennel seeds and crushed garlic. Cook for 1 to 2 minutes and then add garam masala, red chilies, dry coriander, salt and turmeric. Add mutton into the mix. Cook it till mutton is tender and the oil separates. Then mix flour in small amount of water and pour into the mix and cook for 10 minutes. Garnish with fresh coriander leaves, ginger and green chillies. 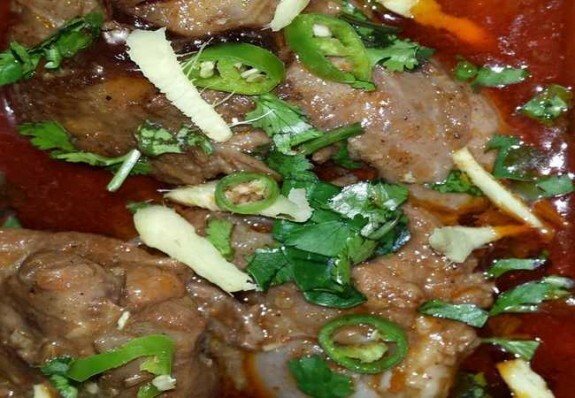 You can serve mutton nihari with roghni naan or chapatti.